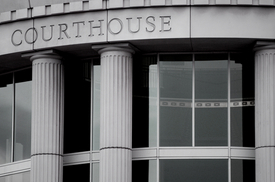 There are many different reasons why you would need the services of a personal injury lawyer. Auto accidents are an example given the complexities in the law regarding these kinds of cases. The same goes for workplace accidents that are the result of an employer's negligence. One of the most serious reasons to consult a personal injury lawyer, however, involves product liability law. When defective products harm individuals, it's imperative that personal injury attorneys become involved in order to hold companies responsible and help initiate positive changes for the benefit of consumers. We'd like to take a few moments right now to consider these kinds of lawsuits and what it means to prove fault in a product liability case. Some basics first. Product liability lawsuits refer to cases in which a product harms a consumer even though it was simply used as directed. In these cases, the product designer, product manufacturer, and/or product distributor can be held accountable for the injury depending on the circumstances of the case. Essentially, any product that leads to serious injury can be the source of a product liability lawsuit. Proving fault basically means that you are proving that someone is responsible for an injury occurring. This notion of fault may be linked to improper warning labels or instructions. This might mean certain household cleaners neglecting to mention the need for ventilation or other kinds of protection. In the case of poor design, one example is top-heavy automobiles. These can lead to rollover accidents, which are very serious. It could also be related to children's toys, especially if parts of these toys present a choking hazard. As you can guess, the notion of fault will vary from incident to incident based on the product itself and the nature of the injury experienced. It's important for us to consider all available evidence and to use this evidence in order to construct a solid case. Many times an individual consumer is not alone in his or her experience with a defective product. There may be countless others out there who have been injured in a similar manner as well by the same product. If this is the case, class action lawsuits are usually filed. These cases involve multiple legal claims by consumers brought against a company in a single legal action. This allows damages to be collected for multiple parties regarding the same sort of injury or product. Many companies have strong legal teams on their side, putting consumers at a disadvantage when it comes to matters regarding litigation. You should not go it alone. By partnering with our team, we will be able to address the complicated legal matters while you and your loved ones can focus on recovery. If you or someone that you love has been injured as a result of a defective product, be sure to contact our San Diego personal injury lawyers today. Our entire team here looks forward to meeting you in person and helping you achieve justice following any losses that came about because of the negligence of another party.